I was recently contacted by Cox and Cox who offered to give me a gift from their amazing Autumn/ Winter collection in exchange for a product review. I jumped at the chance because they have a beautiful selection of unique and eclectic products for your home. I have been on the hunt for a table lamp to sit on my sideboard in my dining room for a while so I saw this as a perfect opportunity to finally get it sorted. 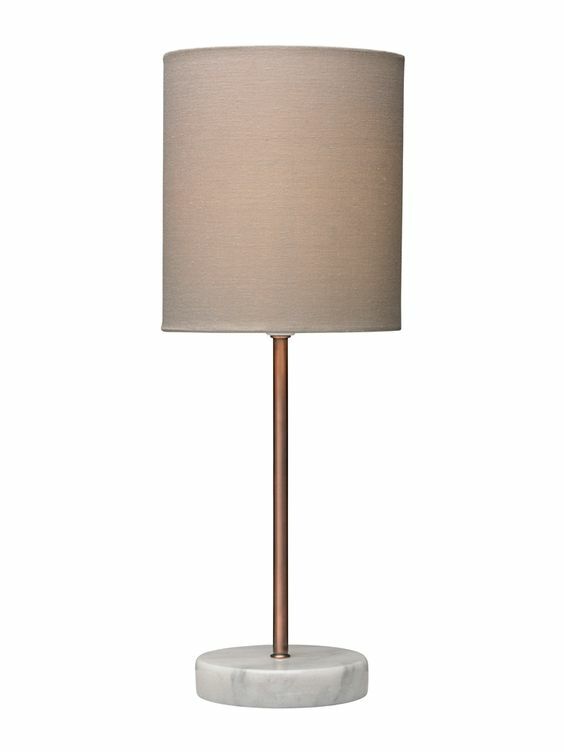 After lots of deliberation I decided on this copper and marble table lamp. 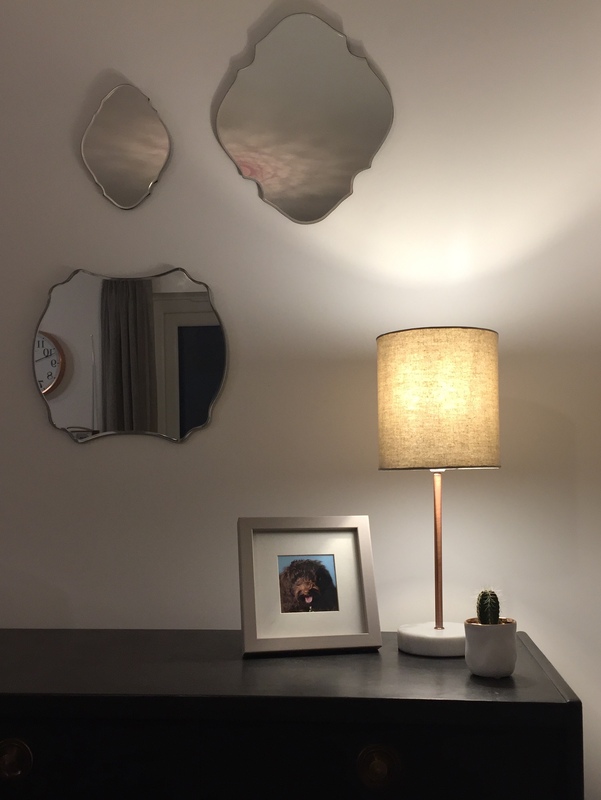 I wanted to pick something quite simple that complimented the rest of my kitchen as I have a selection of quirky shaped mirrors above my sideboard and I didn’t want the light to take too much attention from them. 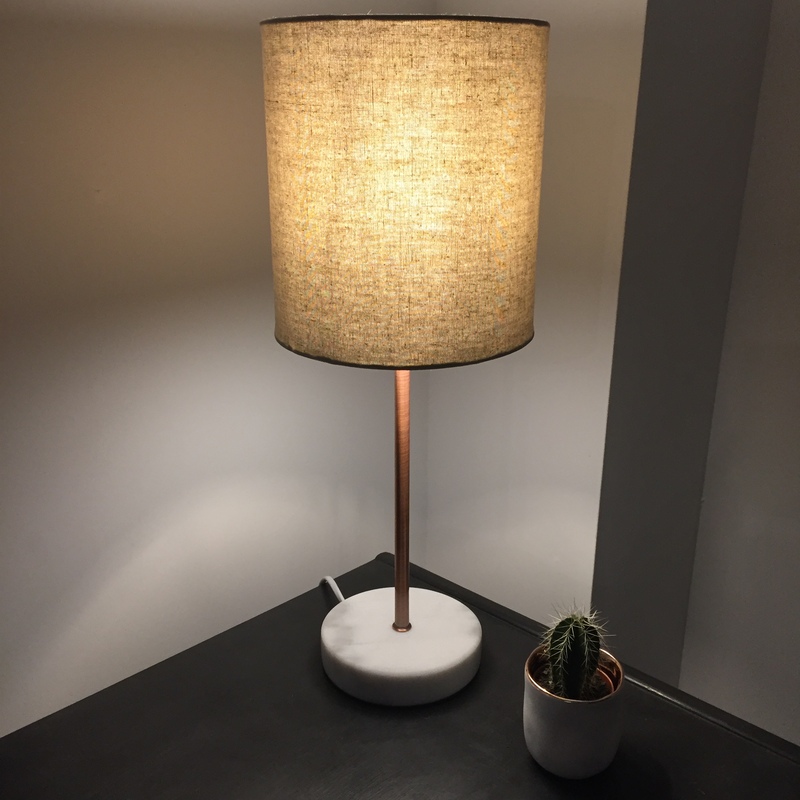 I also have a mixture of copper accessories in the room so I thought the detail of the copper pole would work lovely together with the rest of my accessories. This light retails at £80 which I think is a really reasonable price considering the quality of the product. After I placed my order the light was delivered promptly and packaged really well. It was packaged within one box as two separate pieces that had to be fixed together (lamp shade and base) and was very straight forward to put together. Measuring at 48cm height and 18cm diameter, it’s quite a compact size so would also be perfect on a side table in the corner of a living room or on a bedside table. When the light is switched on it gives the room a lovely warm ambience shining through the cotton lampshade. Overall I’m really impressed with my new light because it looks lovely and is really high quality with a sturdy base. I will definitely be buying more items from Cox and Cox! 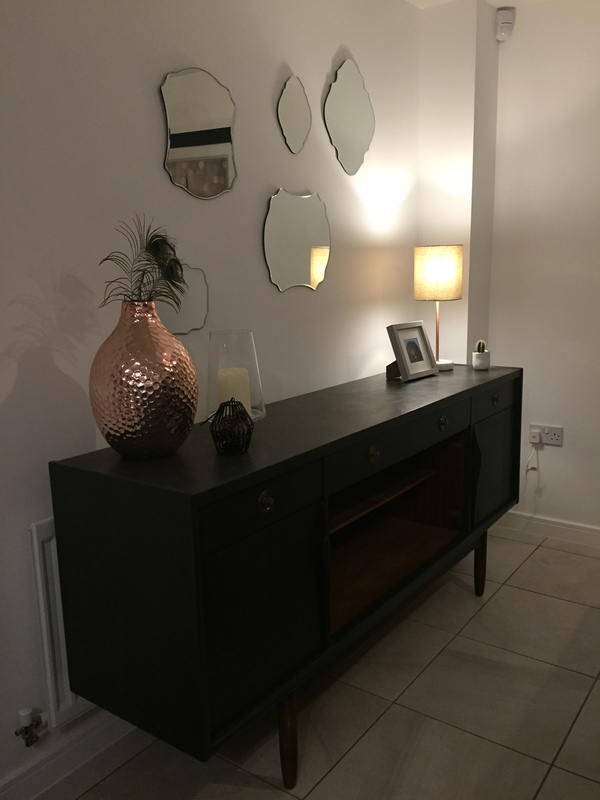 Here are a few photos showing the light styled on my sideboard. 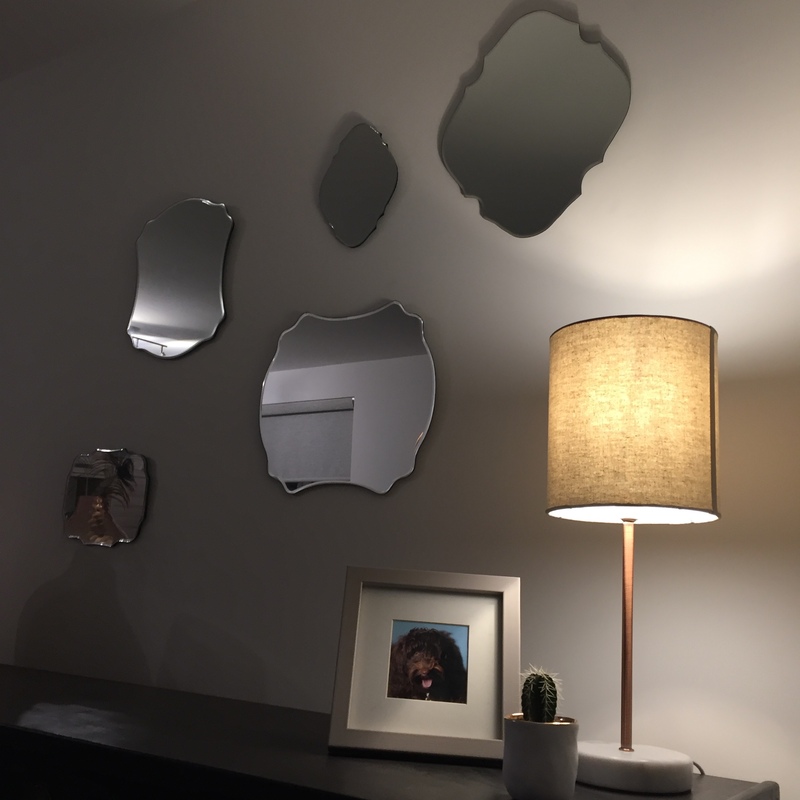 Cox and Cox are an online retailer who launched in 2001 with the desire to create a handpicked collection of homeware products for individually-minded customers who want to create a unique and stylish home. They offer two seasonal collections a year with new products launching every week. The range includes a mixture of gorgeous decorative accessories, lighting, furniture, mirrors, storage, kids items and outdoor living – all featuring the iconic Scandi aesthetic that the brand has long championed. A beautiful Christmas range is also currently available with a mixture of stylish Christmas trees, wreaths, decorations, wrapping accessories and lighting.